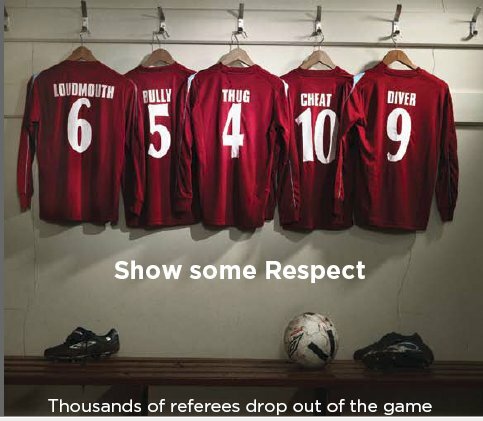 At 5Ways Soccer, Brighton and Hawks Youth we fully support the FA’s Respect Campaign. If you have spent any time watching your child play in Sunday league matches you will see plenty of familiar scenes played out on the FA videos. At 5Ways Soccer and Hawks Youth FC, we expect the Respect Code of Conduct to be followed by Coaches, Spectators and Players when they participate in any of the football related events we are involved in. We all have a responsibility to promote high standards of behaviour in the game. As a player, you have a big part to play. That’s why we are asking every player involved in any our football activities at 5Ways Soccer, Brighton or with Hawks Youth to follow the FA Respect Code of Conduct. 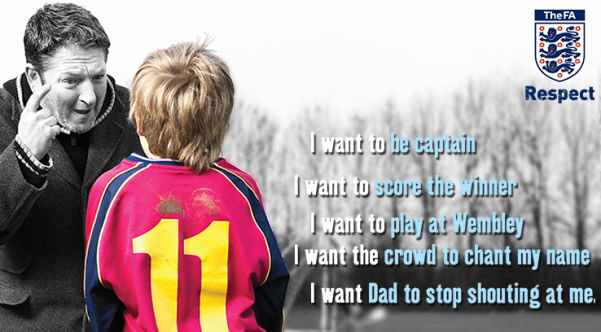 We all have a responsibility to promote high standards of behaviour in the game. 5Ways Soccer is supporting The FA’s Respect programme to ensure football can be enjoyed in a safe, positive environment. We strongly believe that it is the role of all parents, carers and supporters present at any of our events to help facilitate this. Parents, Supporters and Carers must play their part and observe The FA’s Respect Code of Conduct at all times whilst in attendance at Hawks Youth Matches, Saturday Soccer School and 5Ways Academy sessions and all other 5Ways soccer related events. We all have a responsibility to promote high standards of behaviour in the game. In the FA’s survey of 37,000 grassroots participants, behaviour was the biggest concern in the game. This included the abuse of match officials and the unacceptable behaviour of over competitive parents, spectators and coaches on the sideline. • Co-operate fully with others in football(e.g. officials, doctors, physiotherapists, welfare officers) for each player’s best interests.